The Eleaf Lemo atomizer features a rebuildable heating coil and lets you adjust air inflow.It is made of durable steel with a glass tube window. You can vape a lot longer with the Lemo atomizer because it has a large holding capacity of 5ml. The Eleaf Lemo atomizer features a buildable heating coil that you can wrap according your preference. This makes the Lemo atomizer very practical. Below is a sample that may be used as a reference. Note: Before filling e liquid place a few drops on the absorbent cotton. 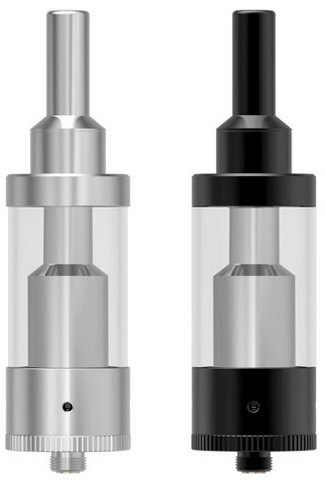 The Eleaf Lemo atomizer is made of steel making it both beautiful and durable. Its glass e liquid window tube lets you see when its time to refill. 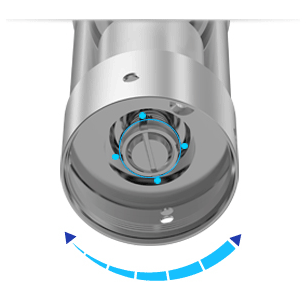 Move regulation ring clockwise for less air inflow and counterclockwise for more air inflow. The 510 thread connectioncan be adjusted according to your preference. It may be completely removed to become an M23 connector. The battery connector is also designed to catch excess e liquid. 1. Unscrew connecting base from atomizer base. 2. Unscrew crosshead screw at bottom of atomizer base. 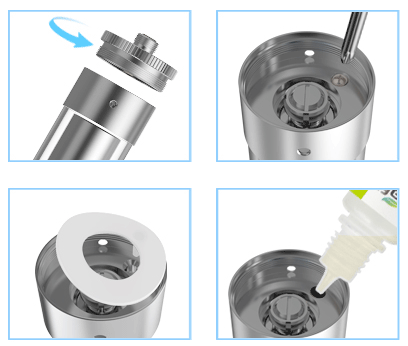 The Lemo atomizer is specially designed for the iStick Battery(20W, 30W, 40W, 50W). You can enjoy a better vapor from this combination.